I just started using Jotform last week and still a complete beginner. I wanted to change hint text appeared on the first field. It currently says "Enter your address here". I wanted it to show "Enter your post code here". There is no Hint text field in the properties so I did not know how to change. Would it be possible to change the hint text on this widget? Unfortunately, it is not possible to change hint example on this widget. 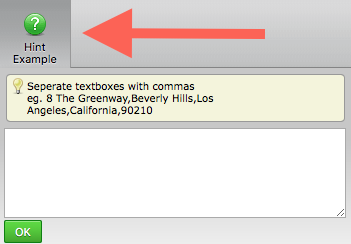 I suggest you that you can use text box tool or address tool. After that, you can change the the hint example. Thank you very much for your response. I wanted to have a autopopulating address functions. 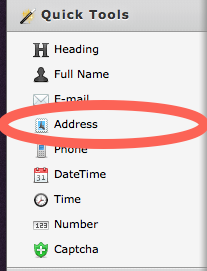 The Autocompleted Address widget has this function, but I assume that the normal address function does not have one? As my colleague indicated you can not really replace the hint text. 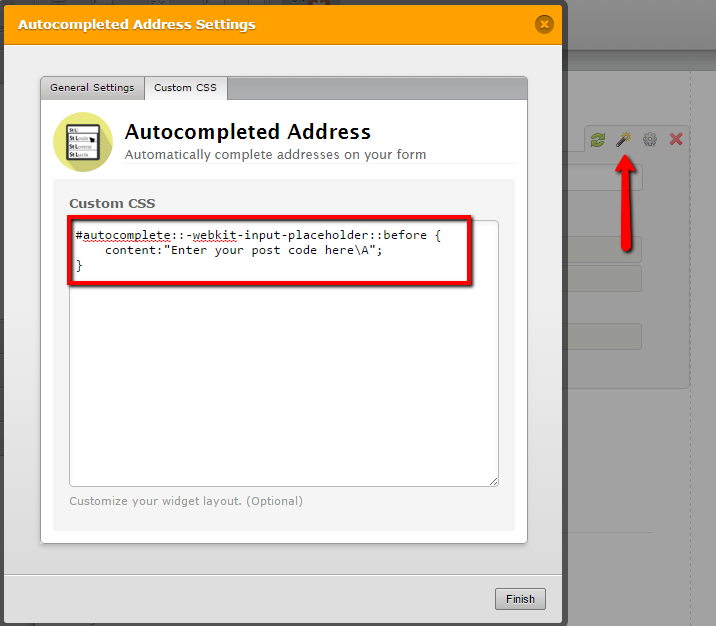 But using CSS code you can add text before and after the hint text. Using the following CSS code you can add your text in the beginning and using the "\A" will place the rest in another line. Since this text field only contains a single line, the rest will not be seen. This will make it look that you only have this text. Feel free to contact us, if you need any question or issues.